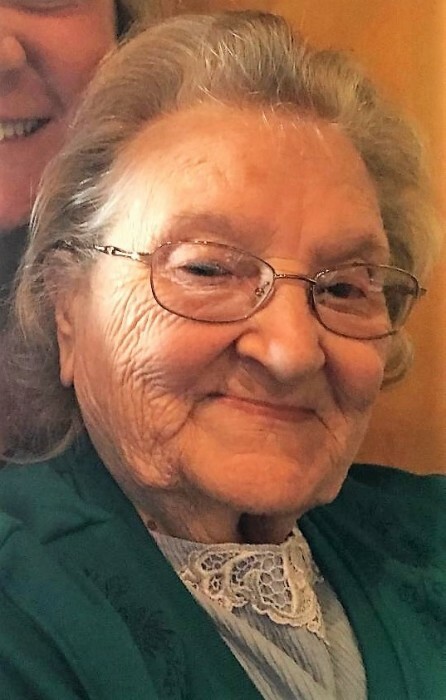 Alta Joann Church, 87 of Delaware, Ohio died Thursday, November 29, 2018 at her home. She was born June 7, 1931 in Portsmouth, to the late Oscar Leander and Francis Louise Shaw Swords. Along with her parents, she was preceded in death by her husband; William Edward Church, who she married on October 5, 1951 in Friendship, Ohio, a brother Robert Swords and a sister Dorothy Brantley. Alta is survived by a daughter; Ruth Ann (Mike) Keller of Delaware, Ohio, 2 grandchildren; Michael Keller of Delaware and Amy Summers of Prospect, Ohio, 6 great grandchildren; Mikaela (Scott) Salyer, Annabella, Ashton, and Emily Keller, Tatum and Lauren Summers, a brother; Oscar (Sonny) Swords of Portsmouth, a sister-in-law; Sue Swords of Columbus, along with many precious nieces and nephews. Graveside services will be 2:00 PM Monday December 3, 2018 at Friendship Cemetery with Reverend Vernon Shively officiating. Friends and family will gather at the cemetery on Monday starting at 1:00 PM. The family’s requests that in lieu of flowers, donations be made in Alta’s name to the Central Ohio Chapter of the Alzheimer’s Association @ 1379 Dublin Road, Columbus, Ohio 43215. Condolences may be sent to www.rogerwdavisfuneralhome.com.